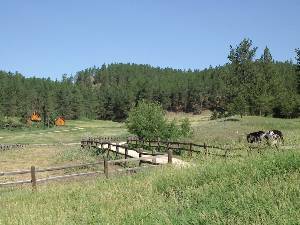 property is in the "Heart of the Black Hills"
Cave, and many other Black Hills attractions. 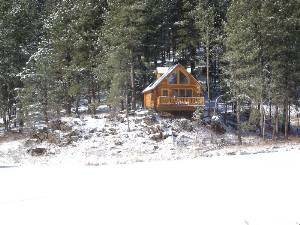 Our Timber Haus cabin is one of six log cabins rentals located in a secluded and intimate setting. A gate on the property, installed for the exclusive use of our guests, opens onto the 109-mile Mickelson Hiking & Biking Trail - a favorite among area walkers, bicyclists, and horse enthusiasts! In the winter, it’s a popular destination for cross-country skiers. A handcrafted picnic shelter, complete with picnic tables and a large gas barbeque is available for our guests' use. It provides a delightful gathering place for friends and families to enjoy an outdoor meal. In addition, each cabin is equipped with its own gas barbeque for mountain dining al fresco! 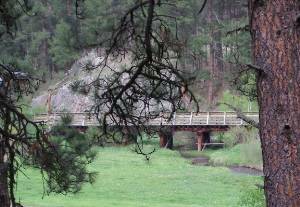 The Newton Fork Creek meanders through the ranch and, weather-permitting, is alive with pan-size rainbow trout. If you are ambitious, walk next door and pan for gold at Wade’s Gold Mill, a popular destination for visitors in search of an Old West experience. 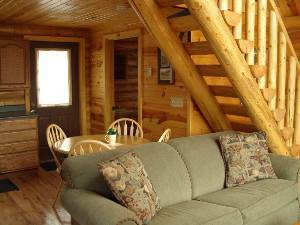 A lovely, intimate log retreat nestled in the trees - one of six cabins available. In the early evenings deer congregate on the meadow. Newton Fork Creek meanders through the property. A comfy sofa to enjoy the warm fireplace. 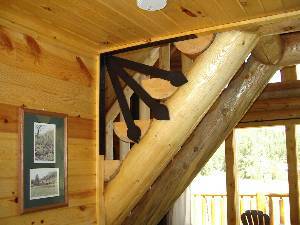 A touch of artistry is found in metal work that adorns the log staircase. Handmade doors, with iron-forged hardware, create a feeling of a bygone era. Glimpse wildlife from the living room windows and deck. Friends and family gather around the table for meals and games. 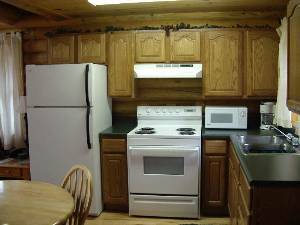 Kitchens feature full-size refrigerators, stoves, microwaves, dishware, and utensils. 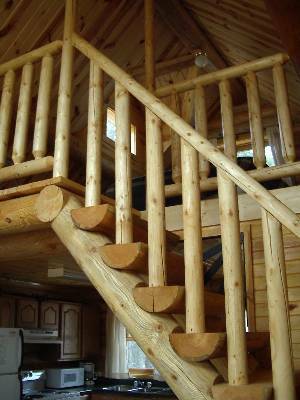 Hand-built log staircase leads one to a cozy and picturesque loft. 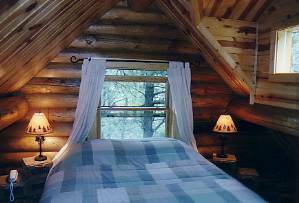 Surrounding silence and serenity provides for a pleasant night's sleep. Comfortable queen size bed makes for a night filled with enchanting dreams. 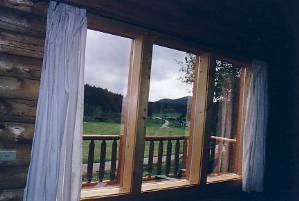 Loft windows provide a lovely cross-breeze and a nighttime sky rich with twinkling stars. 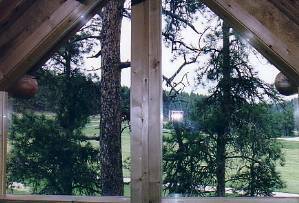 Wake to a stunning view of the meadow and surrounding Ponderosa Pine. Complete with European fixtures surrounded by native rockwork. 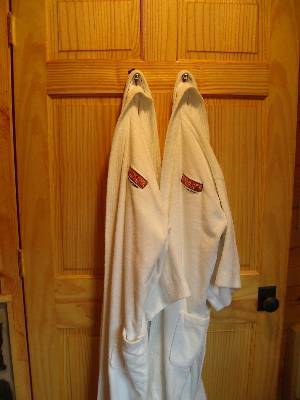 After a soothing bath, cuddle-up in one of our signature bathrobes provided for your comfort and use. Snuggled-up in front of the fireplace with a good book. 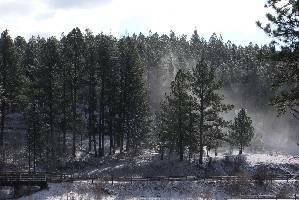 Winter provides moments of staggering beauty such as wind blowing snow from the treetops above a Mickelson Trail bridge. A gate from the property opens onto the 114-mile Mickelson Hiking & Biking Trail. 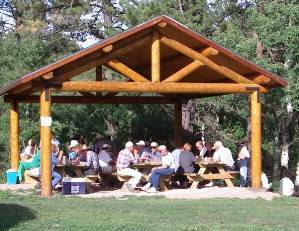 Handcrafted picnic shelter, picnic tables, and a large gas barbeque are available for our guests' use. Thank you for giving us all a chance to spend quality time with each other and in the quiet of the woods. We are very thankful! 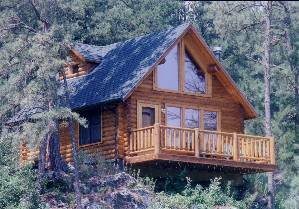 Only thing wrong is we could not take this cabin & deer home with us, so we will have to come back! What a wonderful place. Oh my goodness. What a place, it exceeded all expectations. We really enjoyed our time here. 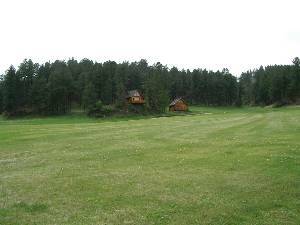 The cabins were comfortable & cozy, and a great location to the sites in the Black Hills! We had a wonderful time. 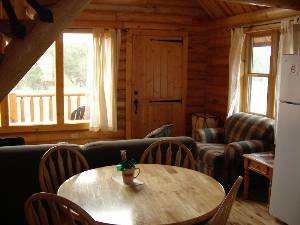 This was a great place to stay, very clean, and great location (close to all attractions)! Thank you for such a neat retreat! We will be back! And we will be spreading the word about your little piece of heaven! We enjoyed every minute of our stay. This is by far the nicest place we have stayed in the Black Hills. 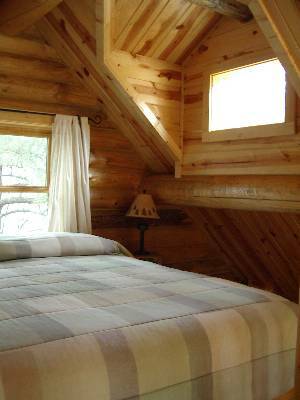 The cabin could not be any more comfortable. 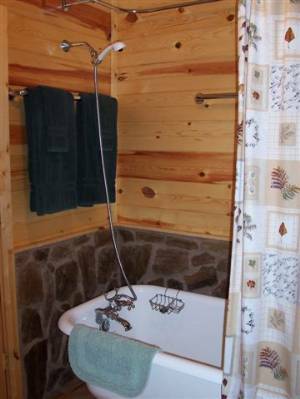 We will recommend Newton Fork Ranch to everyone we know. Thank you so much for a perfect getaway. 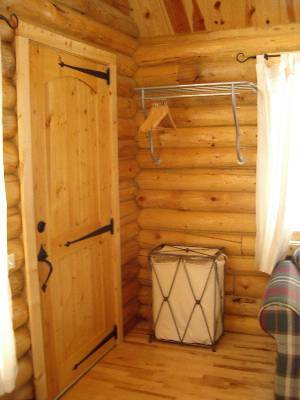 The cabin is absolutely perfect in every detail. We will definitely be back! We immensely enjoyed the rustic elegance of Deer Hollow. We felt pampered and spoiled. 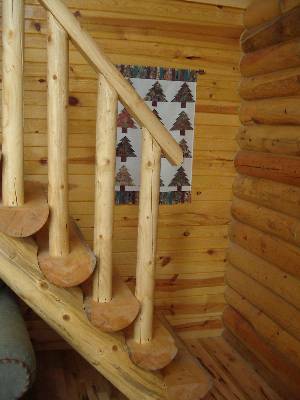 We appreciate how you spaced the cabins to ensure the peace and quiet that we treasure. So relaxing! Loved our stay! Stay six nights and your seventh night is FREE! Note: all prices listed are for two guests. Each additional person, 10 years or older, is $15 per day. All prices quoted are before tax. Deposit: One night's deposit required upon reservation. Cancellations and Refunds: 21-day notice of cancellation is required for a refund. All refunds incur a $45 cancellation fee.